Dear friends we are glad to present you the way of your simple life in a new cozy hostel â€œwingsâ€ which based on Nevsky Prospect in a heart of our city. You could easily walk till Moscow railway station,Mayakovskaya subway, Vosstaniya square,Gostinny Dvor and Nevsky Prospect subways. It is just five or seven minutes walking. You will be close to all of the cafees and restaurants with different cuisine,bars, beauty saloons, museums, theaters, cinemas and malls. 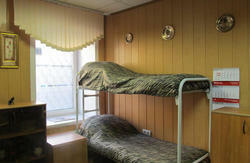 Our hostel life provides you an active time. Our address is Nevskyi prospect 45 in the center of the St Peterburg. Our hostel located in 5 minutes walking from Moscow railway station,Mayakovskaya subway, Vosstaniya square, Gostinny Dvor and Nevsky Prospect subways. All room has wide bunk beds and individual light. 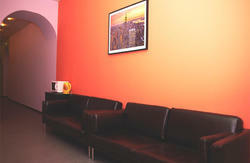 Also we have 3 WC, huge lounge room with plasma TV and full furnished modern kitchen. In is 3 WC's and each room has it wide bunk beds and individual light with a huge lounge room and plasma TV.Also we have full furnished modern kitchen with all staff you need. You can wash , do your ironing and use a hairdryer,and certanly be connected with hi-speed Wi-Fi. We are working 24 hours for your comfort!